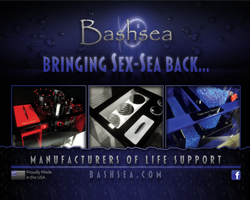 Raffles are always a big ticket item (see what we did there) at aquarium shows both large and small. Regardless of the speaker lineup, the number of vendors, or the size of the show, there’s nothing that draws a larger crowd than a robust raffle full of awesome prizes. MACNA falls right in line with the rest of the aquarium hobbyist shows when it comes to raffles, usually having a massive amount of items available to the thousands of guests in attendance. But this year they are stepping their game way up. In addition to equipment, frags, and gift cards that are commonplace, the show will also feature a free trip to Fiji. But that’s not all. 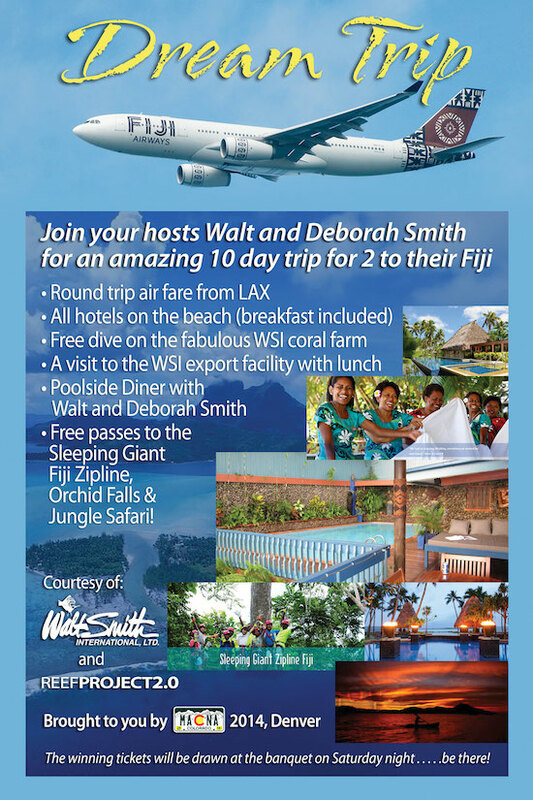 The all expense paid trip will be hosted by the legendary Walt Smith and his wife Deborah. The trip is 10 days long and features round trip airfare for two from LAX to Fiji, as well as hotel and meal accommodations, free diving on the Walt Smith International (WSI) coral farm, a trip to the WSI export facility, a poolside dinner with Walt and Deborah, and free passes to several local attractions (zipline, waterfalls, and a safari). This raffle giveaway is only available to attendees of the MACNA 2014 banquet dinner, with the drawing most likely happening sometime between the opening speeches and the keynote. You must be present at the dinner to win, and tickets are already being sold on the MACNA website in sheets of 26 tickets. Deep discounts are offered on multiple sheets.